Prince George's County Bureau Chief Tracee Wilkins explains how a teacher's quick thinking may have saved a life. 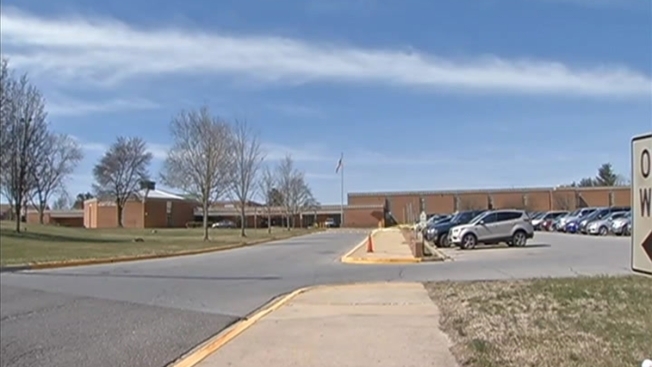 A former student of a Maryland high school stabbed a current student at the school Monday morning, police said. The victim was walking with students from his masonry class to a broken wall they were going to fix on the grounds of Crossland High School in Temple Hills. He made direct eye contact with the suspect, who was near the campus, Crossland’s principal said. “Did not like the way the student looked at him, and he stabbed him,” Principal Theresa Moseley Fax said. A teacher helped keep Coates on the scene, she said, and a school security sergeant took him into custody and turned him over to police. The victim was taken to the hospital but is expected to be OK, Prince George's County police said. Police arrested 18-year-old Nathaniel Coates.